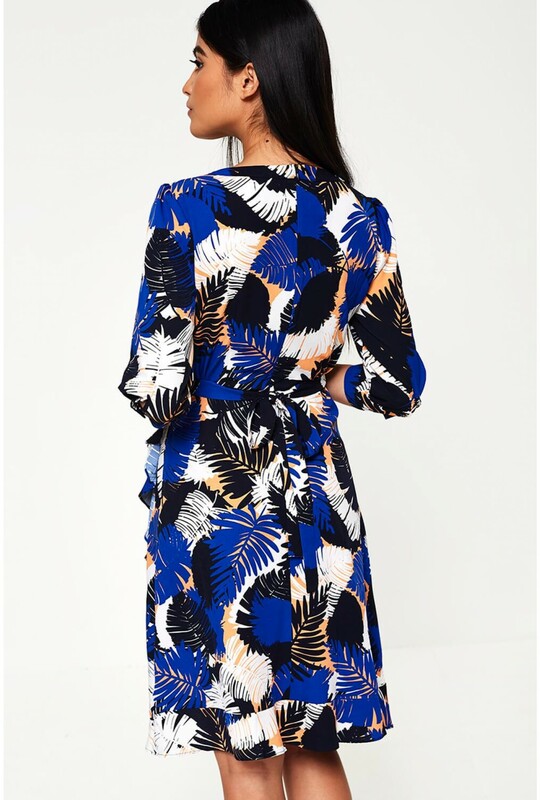 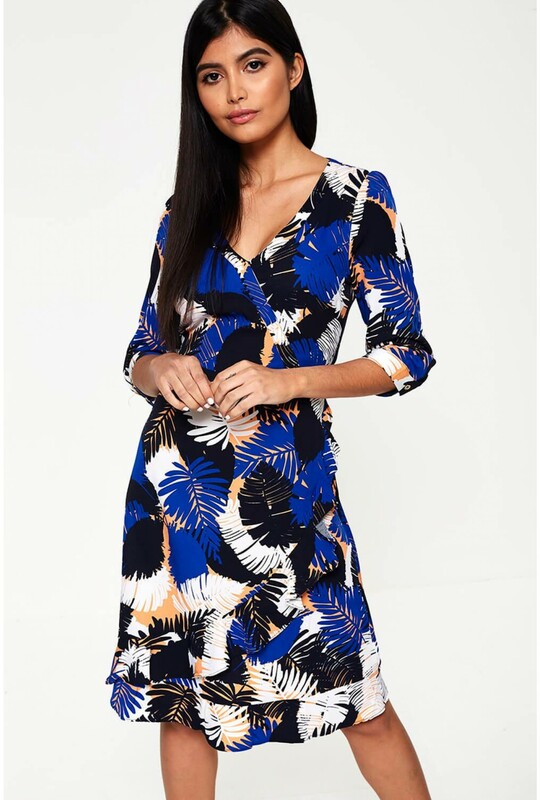 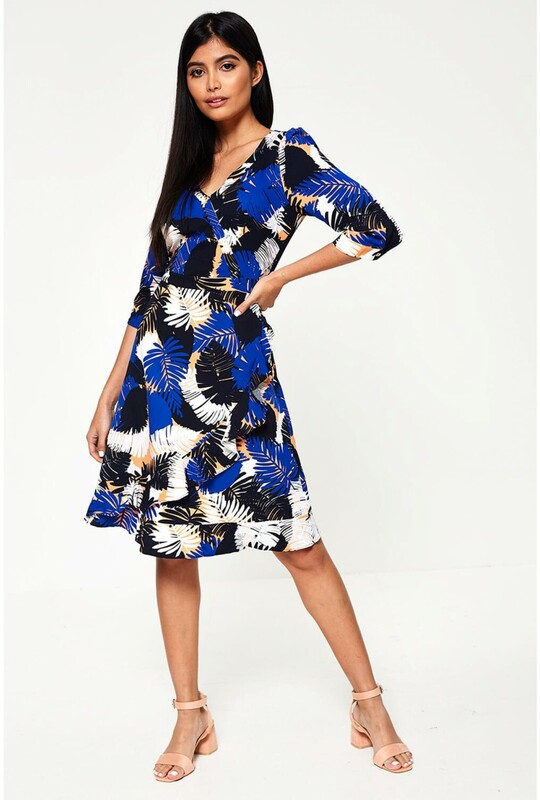 In a stunning palm print, this wrap dress from Maisy. In a flattering wrap design, frill detailing for added definition and three quarter sleeves. 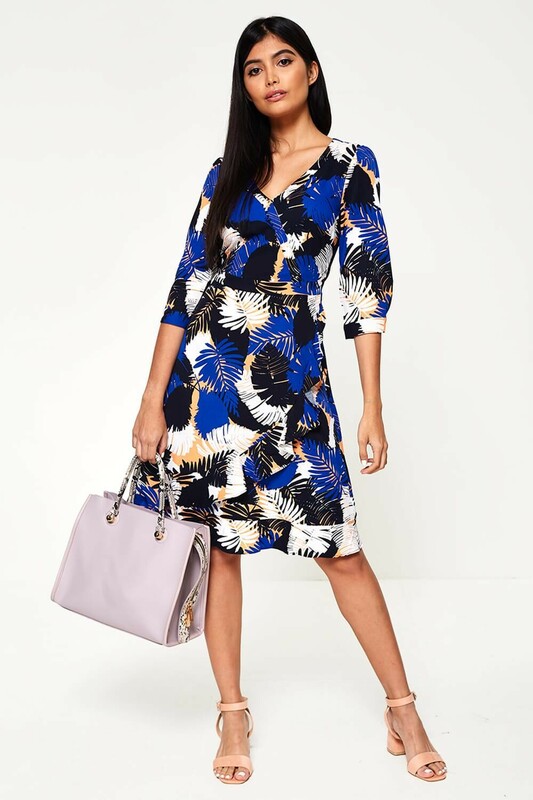 Style with barely there heels, matching clutch bag and stud earrings.